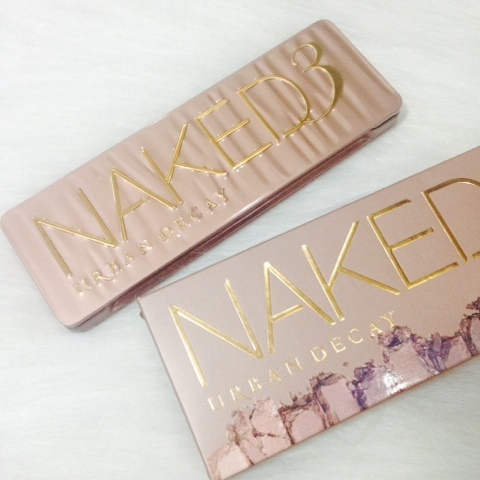 The Rose-Hued Palette that Got Me Hooked: Urban Decay Naked 3 Palette | Vanity and Everything in Between. 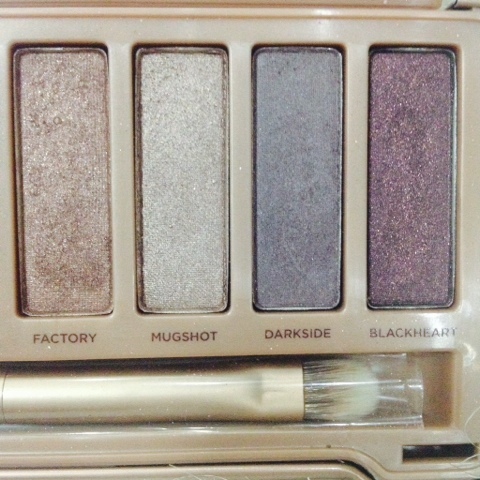 When I received this palette, I was quite disappointed with the shades [in actual]. I thought the looks that I can come up with were limited but I was wrong! 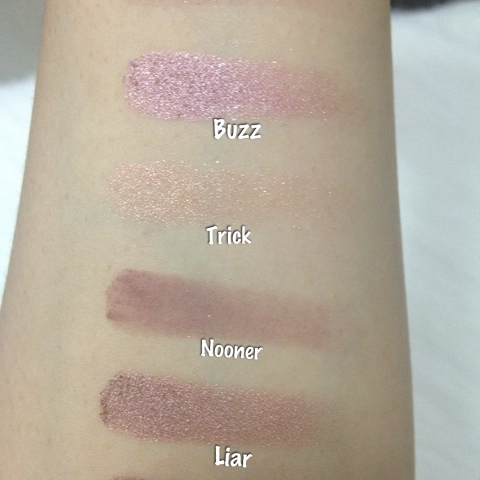 Here's a closer look of the eyeshadows. 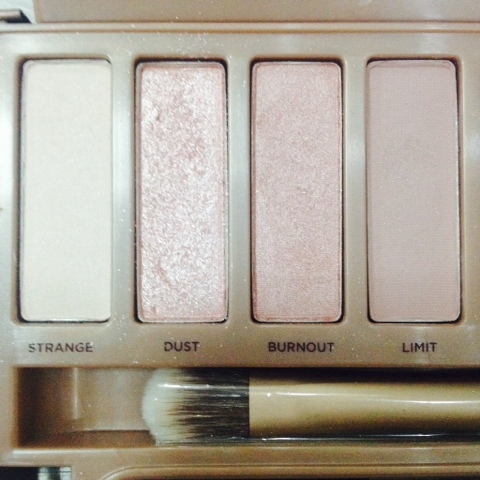 My favourite shades are the last 4 shades in the palette. 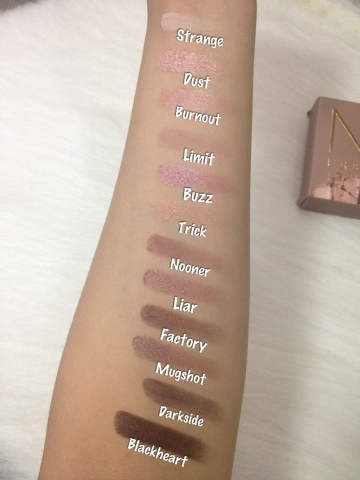 Look at the swatches below! 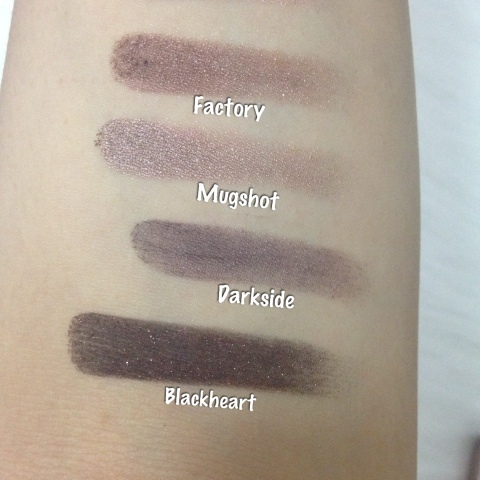 Factory, Mugshot, Darkside and Blackheart are my favourite shades because I have hooded lids and I can pull off a smokey eye look in a heartbeat! 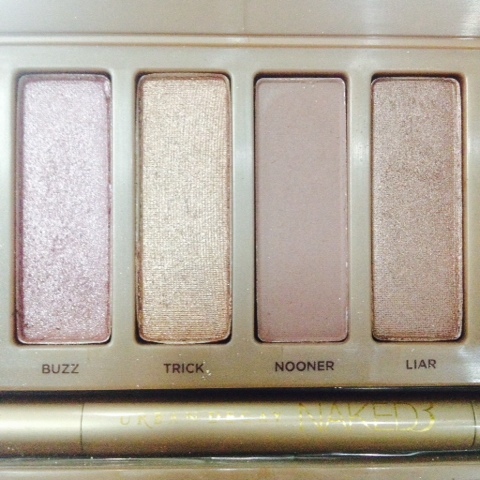 My favourite transition shade is definitely Nooner. 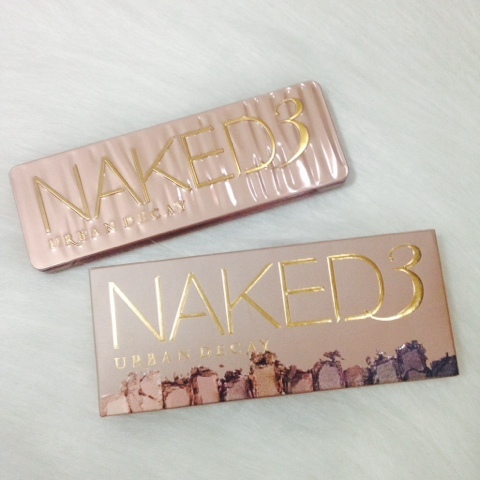 However, among the UD Naked palettes that I have, Naked 3 is the chalkiest one. It's pigmented - no doubt about that. But I feel like the texture is somewhat cheap and chalkier than expected. 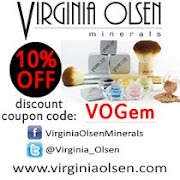 Had I not known better, I would have thought that Dust is purely pressed glitters. 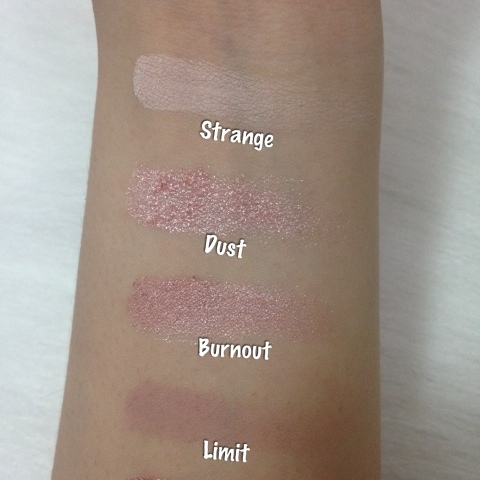 Some shades are not that easy to blend, too. If you have Naked 1 and Naked 2, you probably won't need this palette anymore unless you're itching to have rose-hued shades. I mean, I can't blame you. They are pretty! 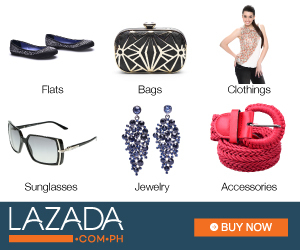 I'd say though that this is a WANT and not a NEED [assuming this ain't your first palette, of course]. 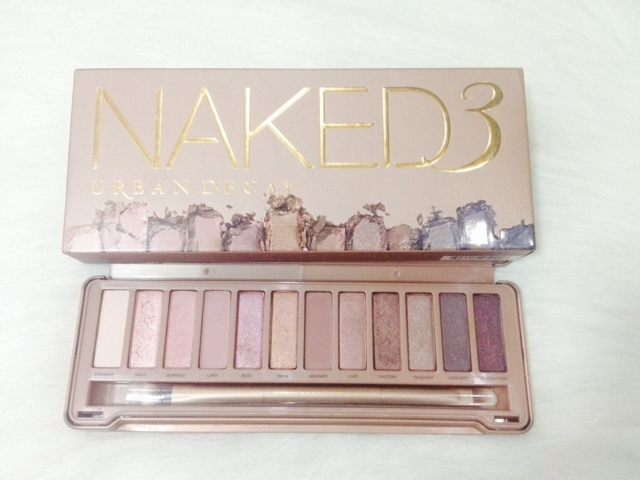 Urban Decay Naked 3 is not available locally but you can purchase it through online stores like @makeovershop at Instagram. I got this at Sephora Singapore [give of take PhP3,000 once converted].